Successfully Added THL T7 Smartphone - Android 5.1, 5.5 Inch IPS Screen, 64Bit Octa Core CPU, 3GB RAM, 16GB Memory, 4G (Blue) to your Shopping Cart. The THL T7 smartphone brings 64 Bit processing, 3GB of RAM a 5.5 inch screen and enhanced fingerprint security all in an exquisite case and put together with excellent craftsmanship. Featuring fingerprint identification means you get the latest and most sought after feature for phone security that will keep everyone else out of your phone by only opening to your unique biometric data. So, should your phone ever go missing strangers won't be able to get into your precious data. Offering great viewing with its 5.5 inch IPS screen the THL T7 is great for gaming and movie watching letting you view all the continent in HD resolutions. With gesture sensing shortcuts you have an intuitive add on to the smart Android 5.1 OS that will allow for quicker easier navigation of your apps letting you scroll through pictures or music with the wave of a hand. When it comes to performance the octa core 64Bit CPU and 3GB or RAM ensures everything is handled with the utmost speed and efficiency so you can run all a wide range of games and apps as well as multitask seamlessly. With 16GB of internal memory and micros SD card support for an additional 32GB if you wish, there's plenty of storage options, so you can take advantage of the 13Mp rear camera by shooting great holiday pics and fun videos as well as stock up on apps and games without any concerns about running out of storage. A substantial 4800mAh battery brings plenty of operation time and means the phone will last thought the most arduous of days without letting you down. 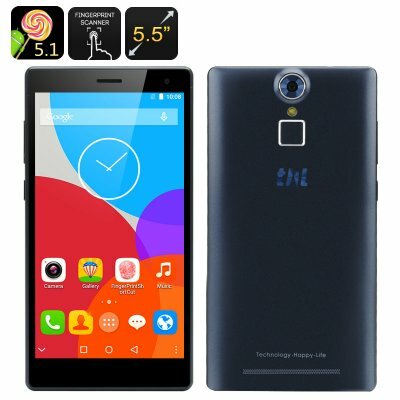 The 5.5 inch THL T7 smartphone comes with a 12 months warranty, brought to you by the leader in electronic devices as well as wholesale Android Smartphones..